Comments Off on Tight Space? Got a tight space but need a privacy fence? Gotcha covered! 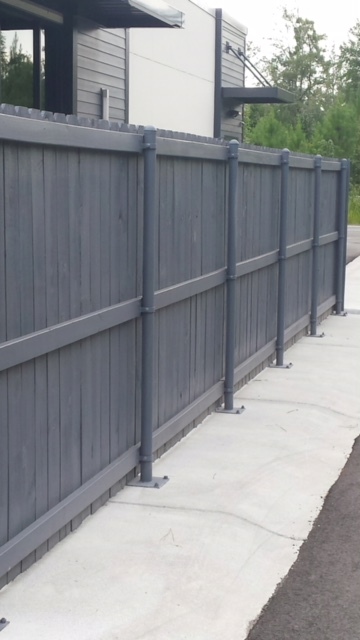 AAA Fence Company installed this 6′ privacy fence – plate mounted steel posts on a concrete curb. We have an in house custom fabrication shop that welded these 3″ galvanized posts to steel plates. Visualize it and we’ll make it work!